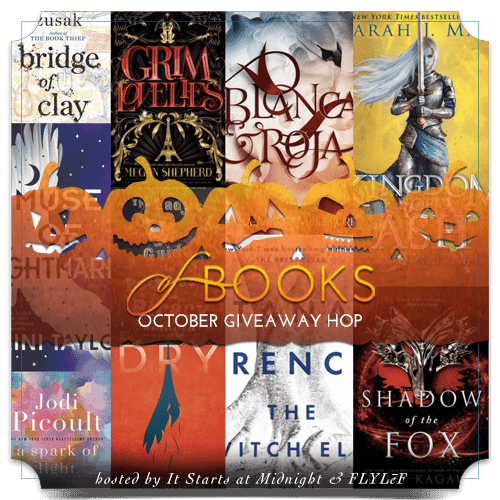 Enter this giveaway for a chance to win October 2018 releases of choice worth $30. Good luck! = Hops directly to giveaway. Good Luck! There's still time to join! Submission closes on October 12th. Christmas is one of my favourite times of year. Nostalgia, snow, fairy lights, presents and of course the people you love. I really enjoy the buzz of the week before Christmas Day. I sing in a choral group so we're always busy at that time of year plus there are the rehearsals for the annual Pantomime. When you add in all the preparations for the Day itself, by the time I get home on Christmas Eve, and start peeling sprouts, with a glass or three of wine, I'm usually too pooped to care! Christmas is my favorite because my sister comes back to New Zealand from the Cook Islands every Christmas and I really miss her when shes not here. My fave day of year is August 29th, as it's my birthday!! If I have to pick a specific date, I'll take April 1st, not so much for the fooling part (although that is fun), but because it's spring and the wildflowers are in bloom. Also the temperature is usually just about perfect. I love Thanksgiving because I can sleep in and then eat lots of yummy food! My birthday, because it's warm and fun! I have always really loved Easter. I love all of our Greek Orthodox traditions for the holiday. My son's birthday. The day he was born my future began! Probably Christmas day, it's a day to just relax, be with family. Christ mas Day - no contest. It is a joyous day. Today is my favorite day because we aren't promised tomorrow. My favorite day of the year is my birthday. Made it through another one! Every day of the year is special for me. The first day of the summer holidays is my best day of the year. Working in a school has its perks! My favorite day of the year is Halloween because I love dressing up and going to parties. The day my daughter was born aka her Birthday. She's the apple of my eye. My anniversary, because it's a special day with my husband. I have many favorite days of the year.I will pick Halloween, because I love the fall, and all the Halloween decorations. Typically it's my birthday as my favorite day. This year wasn't so great tho, so maybe next year. My favorite day of the year is the last day of school and Summer vacay! I have so many!!! I love the holidays and of course my children's birthdays!!! My favourite day of the year is Christmas eve because it's full of Christmas spirit and the day and night before is so exciting! So much anticipation! My favorite day is Christmas Eve. I love Christmas movies and Christmas music! Christmas Eve. But this is my 2nd year when I am alone so I can hope only that I ll have a company during this day. I'd say Easter, because there's always a huge feast in our house, we go to church, and then go visit family. I don't have a certain favorite date, but i always love the first day of the year when the snow comes down, when the magnolias is blooming, when the summer roses appear, and when the foliages turn to their autumn colors. They give me a feeling of a fresh start, the changes from a season to next one are always interesting.